Once you spend the time closing all the buckles on the Sparkle boot you are rewarded with great skiing. 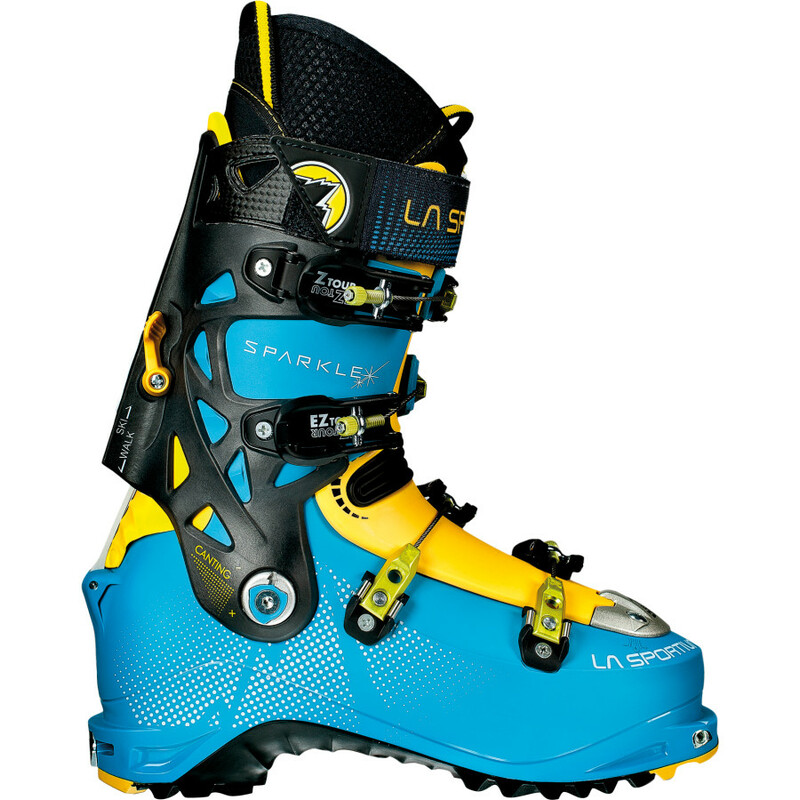 The Sparkle is the lightest womans four-buckle boot on the market and it offers pinpoint control over your skis. But it doesn’t climb like a typical four-buckle beast since it has 60° of articulation. The boot is wider in last that most two-buckle boots, and offers enough support for bigger skiers. The walk/ski mode is solid and easy to engage, and it readily accepts crampons. The liner and power strap are cush. The La Sportiva Sparkle is head and shoulders above the competition in terms of climbing to ski.